Price your home right. A starting price that’s too high will simply take longer to sell and very likely at an even lower price. If the price is too high, many buyers and other Realtors will quickly move on to another property. Selling a home in NW Wisconsin? Send me an email or give me a call at 218-590-6634. 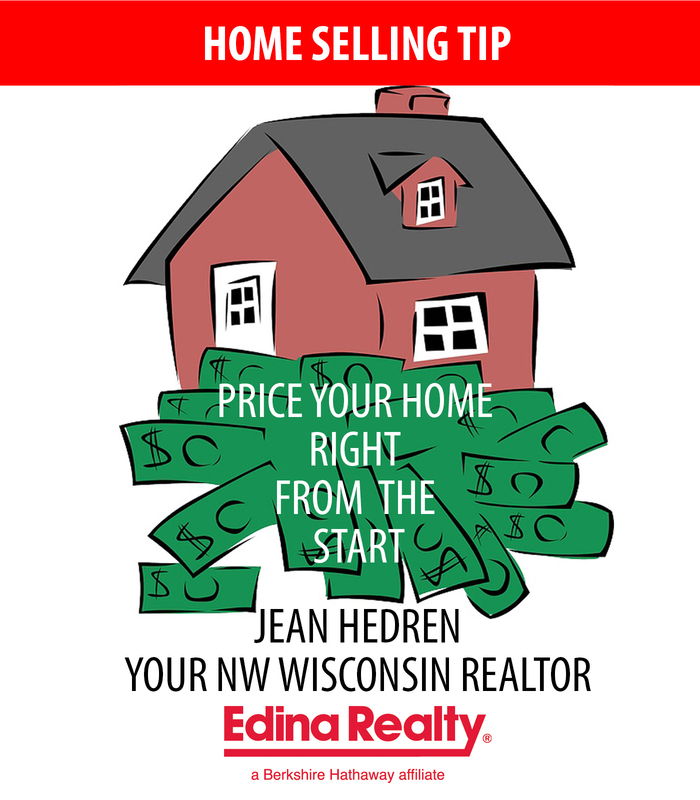 Or, email me: jeanhedren@edinarealty.com. I’ll be happy to provide a current price analysis to give you an idea of what your home will sell for in the current market.